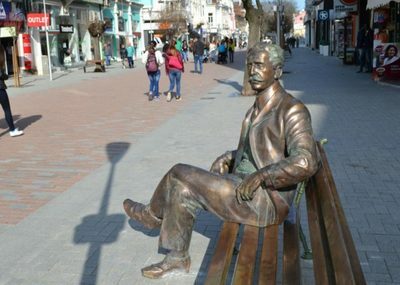 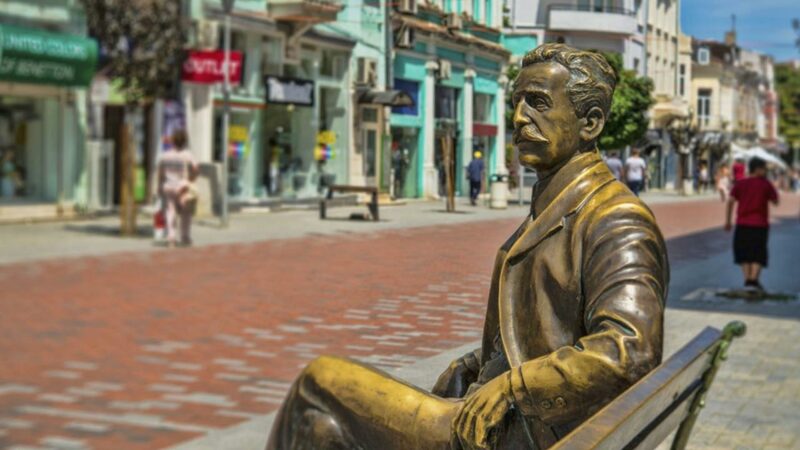 Close to the main ''Independence'' square, you will find a bronze monument of a man, sitting on a bench. 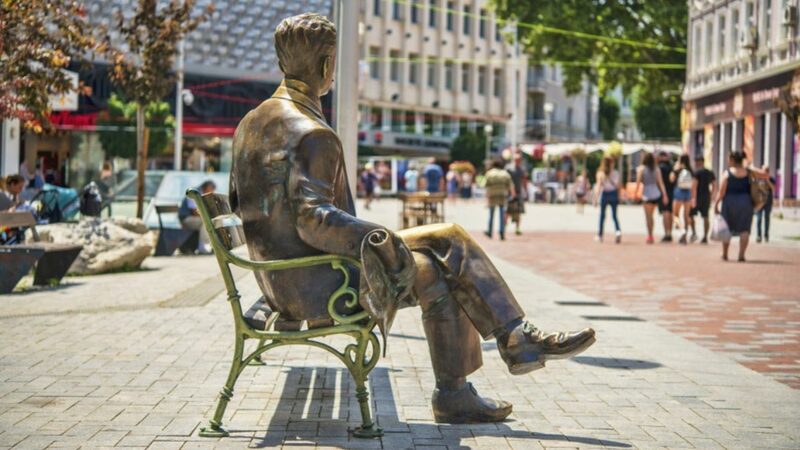 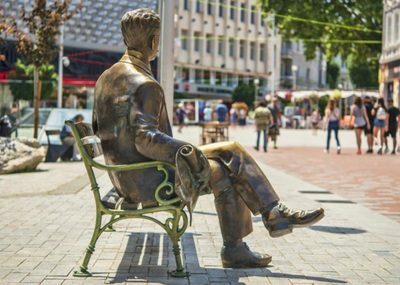 This is the portrait sculpture of the architect Dabko Dabkov, a talented man, who created more than 350 buildings in Varna over a period of 40 years. 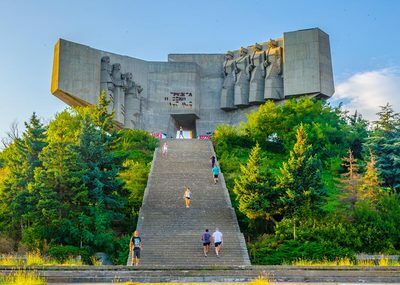 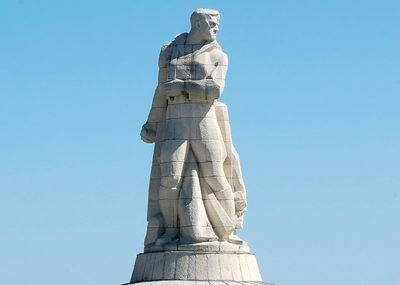 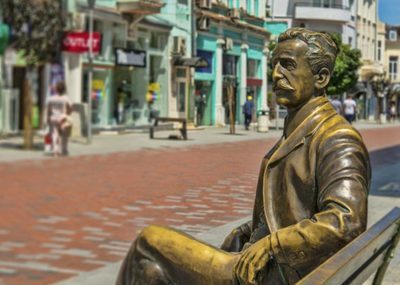 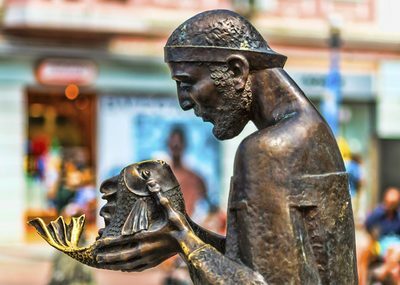 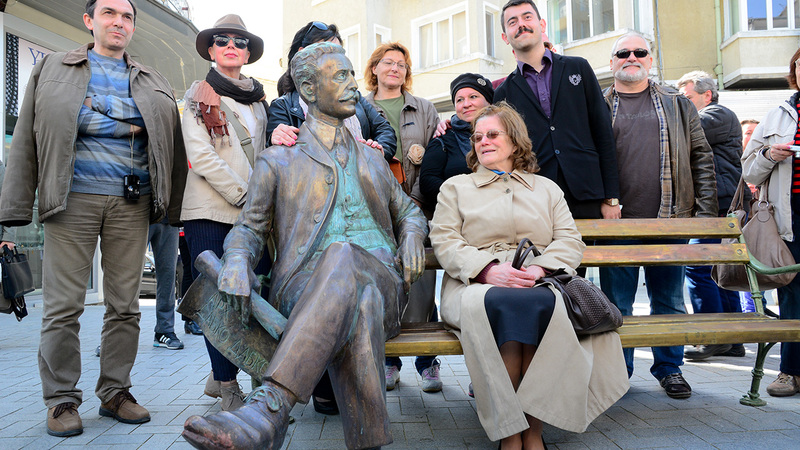 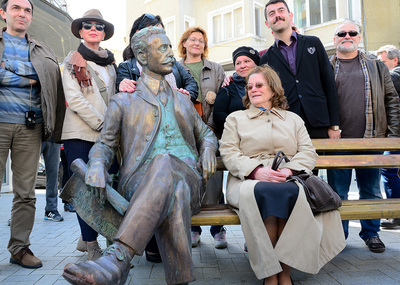 The locals of Varna built the statue as a tribute to him and his efforts. 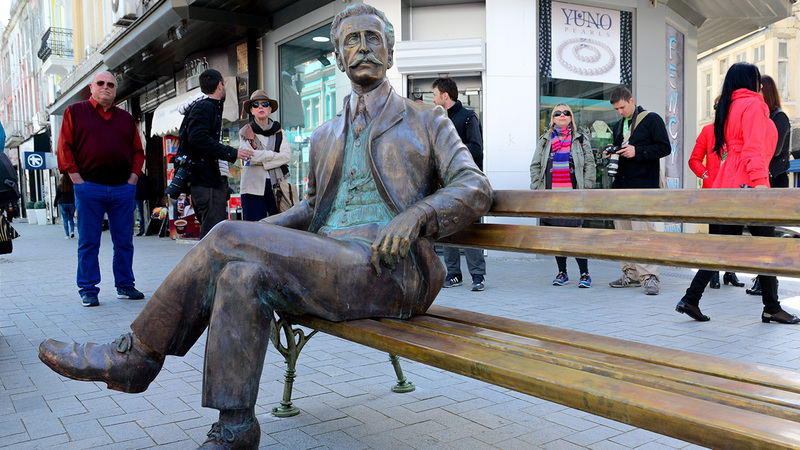 Dabko Dabkov was born on the 21st of January 1875 in Tryavna. 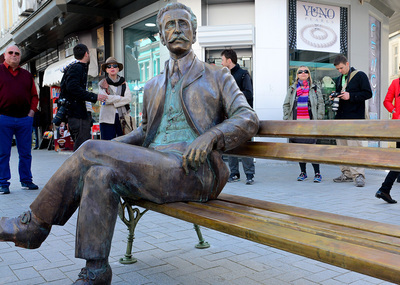 He studied architecture at the Technical University in Munich, Germany. 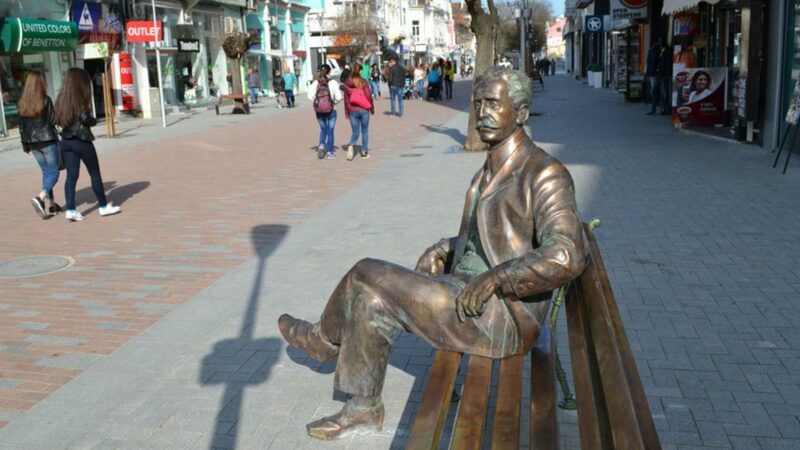 He graduated in 1899 and returned to Varna where he worked and lived until his death. 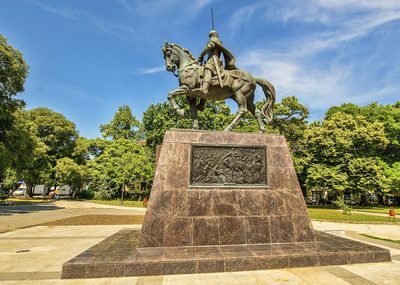 Among his many projects are grand hotels “London” and “Musalla”, “Rankov” cinema, the Aquarium, Bank of Sofia and many others.